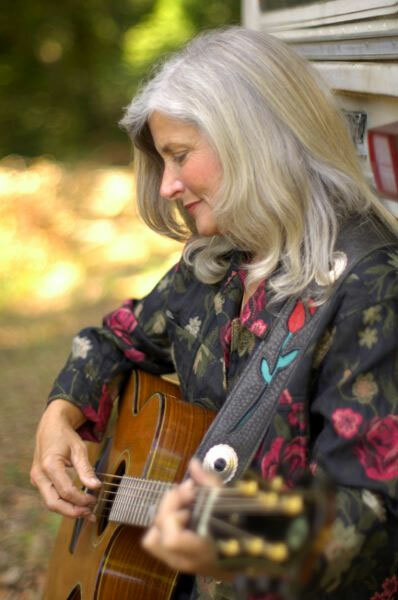 Sherry Austin is a songwriter on a mission to make up for lost time. She has released three CDs in the last ten years, and her songwriting has won awards and captured the attention of Billboard. 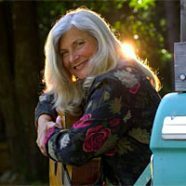 Sherry’s music can be heard regularly on KPIG radio (Santa Cruz CA) and other stations worldwide. Although you played a lot of music during your college era, you took a 25-year detour through life before recording your first CD, “[easyazon-link asin=”B000I6B7XA” locale=”us”]Drive By Romance[/easyazon-link].” Were you conscious of postponing the Muse during that era? And tell me about your experience of opening the door to creating the original songs on this project. I was busy raising my daughter and working during my years away from music. It wasn’t a conscious decision to give it up, nor did I think about returning to it in those years. I think it was always a longing that was tucked away inside me though. When I got divorced, my daughter was in high school, and I suddenly had time for myself again. I started finding music that inspired me (Mary Chapin Carpenter, Lucinda Williams, Iris DeMent, etc.) and started picking out their songs on guitar. 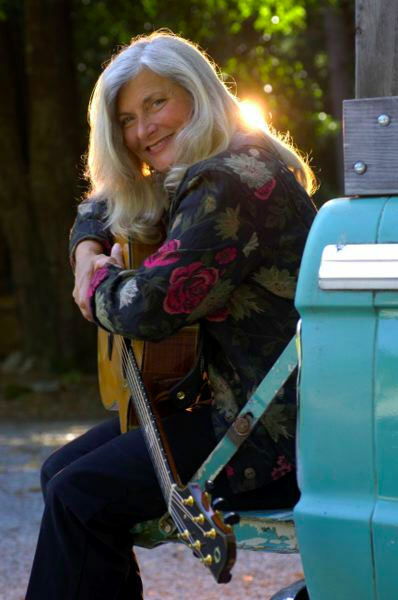 It wasn’t until I moved to Soquel and found KPIG and the thriving music community here, that I started singing outside the house. A friend encouraged me to go to an open mic, and then told me about a songwriting class at Gryphon Guitars in Palo Alto. I think my first song was Baby Blue Bonneville, which started out as a short story I wrote for my daughter about my youthful adventures in my friend’s car. It morphed into my history of cars. Your songwriting style is smart, sensitive and witty, yet unassuming. Are these characteristics an intentional part of what you reach for in your songwriting, or does it just happen to turn out that way? I think that’s just who I am.. except for maybe the smart part. My emotional side is pretty strong, so I have an easier time writing about what’s personal to me, rather then say, a historical occurrence. I’m inside my head a lot, so some songs come about as random thoughts that I write down, then assemble like a jigsaw puzzle. Where do you tend to find inspiration for the original songs you write? Inspiration can come out of nowhere in the middle of the night, or it can present itself when something gets me emotionally. When Bush decided to send troops to Iraq, I got all fired up. I read an excellent article by John Le Carre at the time and fired off “[easyazon-link asin=”B0014FUDDO” locale=”us”]I Wouldn’t Lie to You[/easyazon-link]” in about 20 minutes. I was listening to a lot of Kate Wolf when I wrote “[easyazon-link asin=”B003Z67HKC” locale=”us”]Winter Comes on Slow[/easyazon-link],” so sometimes you need a muse to inspire you. Kate was so good at taking ordinary things and making them extraordinary. It’s often the seemingly little things that have a powerful effect on us. In this case, I was inspired by finding a letter in the mailbox. As an oil painter as well as a songwriter, I love that you’ve written a song about Maxfield Parrish. Tell me the backstory on that one. I was once a painter too.. Something I’ve been thinking about doing again (more unfinished business?). I’ve always had a keen appreciation for art. 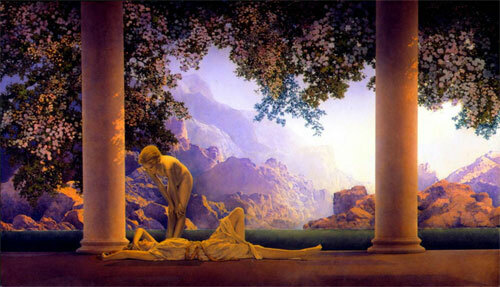 My grandmother had a Maxfield Parrish print over her fireplace when I was a kid. I’d forgotten about it and bought the same one (Daybreak) when I was in college. My mother reminded me when she saw it. I loved the colors and light and dreamy aspect of his work. My walls were plastered with cheap prints of his work back then. I still have them rolled up in a closet now. But “Parrish Painting” came about one evening when I went outside and saw the forest silhouetted against the rich blue twilight sky. It reminded me of Maxfield Parrish’s work. What is your overall process for writing an original song? I have no actual process. I think when you write, you need to be conscious of that all the time. You listen for a good turn of a phrase, take in what’s around you, throw in a dash of human emotions here and there, and hope it flies… and of course, you need to have a pad of paper (or grocery receipt) on you when inspiration strikes. What have you learned (so far) about the process of marketing original music? I really haven’t tried to market my songs. When I started writing, I became aware of a lot of companies that tell you they’ll market your songs for a fee. I don’t really know anyone who’s had success with that. I’ve had a couple tunes that were covered by people, but that’s hardly a success story. There’s so much of the “business” of music that is hard for me to focus on. I think it’s often a question of either being a creative person, or a business person. It’s a rare person that does both well. Perhaps when and if performing winds down for me I could put some effort into marketing the songs. Maybe “[easyazon-link asin=”B000QLKHEC” locale=”us”]How’s the Mustang Running? [/easyazon-link]” could make it into a Ford commercial someday. I can dream can’t I? I love being surprised by new groups (to me). 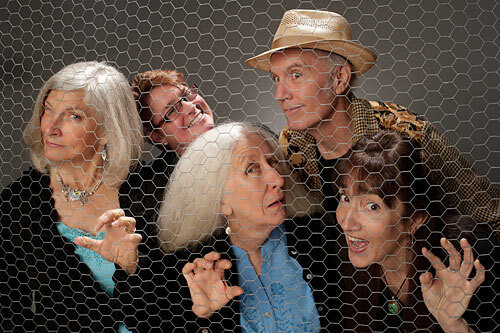 Recently at KPIG, the Honeycutters were there and I snagged an album from them. It was a really great surprise with strong lyrics, and memorable melodies. I’m also wearing out a [easyazon-link asin=”B004XIA7XA” locale=”us”]Zoe Muth[/easyazon-link] CD right now. I know I’ve got a great album when I’m humming the melody and want to learn songs on it. Eliza Gilkyson always inspires me. She contines to find interesting subject matter for her songs. 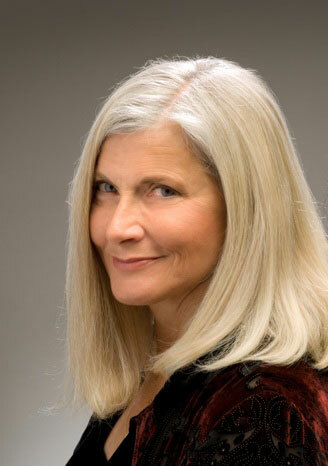 I was deep into Kate Wolf for a number of years. Her songs seem so simple on the surface, yet reveal more and more with repeated listenings. Everybody says this, but it’s true: Be true to yourself and write about what you know. Hearing what others think about your songs is important too. I entered song contests that gave feedback and it was very helpful. Sometimes we overlook something so simple because we’re really close to it. Changing one word can make all the difference between something that doesn’t work to something totally right. Sherry: I’ve got several guitars. I’ve got a Martin D-28 at the computer upstairs and a Larrivee downstairs.. I keep them out so I’ll be ready if inspiration strikes. Sherry: GarageBand is handy. I’m not too technical, so I need easy. It qualifies. Sherry: I don’t have a smart phone as we don’t have cell service up in the mountains where I live. My app is still mostly a pad of paper. Sherry: A comfortable pen, or a mechanical pencil with a nice soft lead.